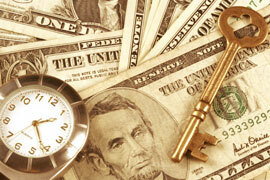 Approve Loans and Credits quickly and accurately. Reduce credit analysis costs and keep them low. Increase and ensure your sales on credit. Inform yourself first about the payment history, risk profile, and possible commercial and criminal judicial/legal activities of your prospects, clients, and employees. Be duly informed before making your business decisions. Avoid doing business with people or companies with high credit risk. Reduce economic losses associated with your productive activity. Verify the identity of your prospects and clients; protect yourself against fraud, and avoid being fooled or cheated. Locate debtors and recuperate compulsory collection accounts. Before renting any real property, screen your prospective tenants. Increase your company´s security by avoiding doing business with criminals. Report to the Credit Bureau your delinquent debtors or uncollectable accounts, in order to recuperate your investment. Screen your employees before hiring them. Screen the history of a vehicle before buying it. How does Predictive Caltec Score® Benefit Citizens? The use of Predictive Caltec Score®, also called Credit Score, makes it possible for creditors to be able quickly to measure the credit risk of credit applicants. Before the existence of Predictive Caltec Score®, the credit approval process was slow, inconsistent, and based on an evaluation of subjective, not equitable, criteria. Lets individuals obtain credit quickly. Makes credit evaluation decisions more equitable and fair. The information errors associated with credit history are ignored in the credit approval process. The overall costs of interest rates for credit are lower.